Young's Scrapping- and other thoughts or creations: GREAT NEWS!!! I AM NOW A DESIGN TEAM MEMBER!!! GREAT NEWS!!! I AM NOW A DESIGN TEAM MEMBER!!! Well everyone, I am very very proud to announce that I am one of the selected to be on Above Rubies Studio Design Team! I am totally and completely honored to be selected to do some designing for Megan and the Above Rubies Studio Design Team! I woke up on Sunday morning to this wonderful news, and sure has kept me happy since. I can't wait to get started! To view the post of the announcement of all the selected Design Team Members, click HERE. Congratulations to all the other designers that were selected! It will be fun to work together! In lieu of this wonderful news and my birthday coming up on March 12th, I have decided to have some BLOG CANDY!!!! It is a surprise, and you will get a sneak peek tomorrow as to what is all included. 1. You must become a follower. 2. You must post a link to my blog from your blog. 3. 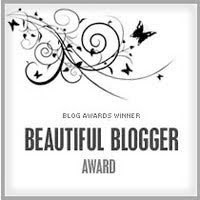 Comment and leave the link to your blog. Here's a perk! 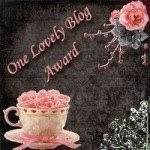 If you comment on today's post AND tomorrows post, both with the links to your blog, you get 2 entries!!! Congrats Jenn!! Can't wait to see the awesome stuff you come up with it!! Thanks Tammy! I am sooo excited to see everything that everyone creates!!! Once GIBBS 2 is done, I am ready to move on that stuff! Congrats!! You deserve it! Nice blog and creations! Can't wait to see what you come up with! Congratulations. Can't wait to see your crafty side. Congrats on your DT assignment! Love the picture of your kitty! Congratulations on becoming a design team member. Looking forward to your design inspirations. Well I have become a follower and look forward to see all your talents you so graciously will be sharing with us. However, I guess I cannot get a chance to win your great blog candy since I do not have a blog. But I will still follow and look forward to your future work. Love to see all the techniques you girls share with us. I am a follower and have added a link to your blog. I am so happy for you. CONGRATS!!! Happy Birthday and Congratulations! I don't have a blog to post on but I am a follower. Congrats Jennifer! You have an adorable blog and adorable children!! I am looking forward to seeing your creations! Love your site . congrats. look forward to being inspired. I am now a follower! Congrats on making the design team Jen! Looking forward to seeing more of your work! I can't link you on my blog cause I don't have one! Love the coloring on the card you made!